A new survey of 490 data professionals from small to large companies, conducted by AnalyticsWeek in partnership with Business Over Broadway, provides a look into the field of data science. Download the free Executive Summary of the report, Optimizing your Data Science Teams. Our world of Big Data requires that businesses, to outpace their competitors, optimize the use of their data. Understanding data is about extracting insights form the data to answer questions that will help executives drive their business forward. Do we invest in products or services to improve customer loyalty? Would we get greater ROI by hiring more staff or invest in new equipment? Getting insights from data is no simple task, often requiring data science experts with a variety of different skills. Many pundits have offered their take on what it takes to be a successful data scientist. Required skills include expertise in business, technology and statistics. In an interesting study published by O’Reilly, researchers (Harlan D. Harris, Sean Patrick Murphy and Marck Vaisman) surveyed several hundred practitioners, asking them about their proficiency in 22 different data skills. Confirming the pundits’ list of skills, these researchers found that data skills fell into five broad areas: Business, ML / Big Data, Math / OR, Programming and Statistics. We invited data professionals from a variety of sources, including AnalyticsWeek community members and social media (e.g., Twitter and LinkedIn), to complete a short survey, asking them about their proficiency across different data skills, education, job roles, team members, satisfaction with their work outcomes and more. We received 490 completed survey responses. Most of the respondents were from North America (68%), worked for B2B companies (79%) with less than 1000 employees (53%) in the IT, Financial Services, Education/Science, Consulting and Healthcare & Medicine (68%). Males accounted for 75% of the sample. A majority of the respondents held 4-year (30%), Master’s (49%) or PhD (18%) degrees. Figure 1. Proficiency levels across 25 data skills. Click image to enlarge. Data science is an umbrella term, under which different skills fall. We identified 25 data skills that make up the field of data science. They fall into five broad areas: 1) Business, 2) Technology, 3) Programming, 4) Math & Modeling and 5) Statistics. Respondents were asked to indicate their level of proficiency for each of 25 different skills, using a scale from 0 (Don’t know) to (Expert). Proficiency levels varied widely across the different skills (see Figure 1). The respondents reported a high degree of competency in such areas as Communications, Structured data, Data mining, Science/Scientific Method and Math. The respondents indicated a low degree of competency in such areas as Systems Administration, Front- and Back-end programming, NLP, Big and distributed data and Cloud Management. Figure 2. Job roles of data professionals. Respondents were asked to indicate which of four options best described themselves and the work they do (e.g., job role). Over half indicated their primary job role was a Researcher, followed by Business Management, Creative and Developer (see Figure 2.). Most of the respondents identified with only one primary job role (49%). About 32% indicated they had two job roles. About 14% indicated they had three job roles and 4% indicated they had all four job roles. Looking at data professionals who selected only one job role, we examined their satisfaction with the outcomes of their analytics projects (see Figure 3.). The results showed that data professionals who identify as Researchers reported significantly higher levels of satisfaction with the work they do compared to data professionals who are Business Management or Developers. Figure 4. Proficiency in Data Science Skills by Job Roles. Click image to enlarge. What does it mean to be a data scientist? After all, there are many different skills that fall under the umbrella of data science. The professionals’ job role was logically related to their proficiency in different skills (see Figure 4.). I examined differences of data professionals who indicated they had only one primary job role. Data professionals in Business Management roles had the strongest business skills of all data professionals; Developers were the strongest in Technology and Programming skills; Researchers were the strongest in Statistics and Math & Modeling skills. The Creative types didn’t excel at any one skill but appeared to have a decent level of proficiency across all skill areas. Figure 5. Effect of teammate’s expertise on satisfaction with analytics work outcomes. Click image to enlarge. The results of the survey showed that data professionals tend to work together to solve problems. 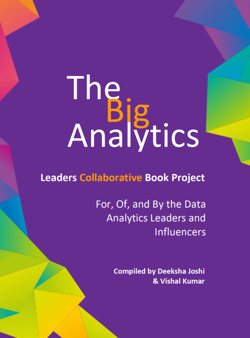 Seventy-six percent of the respondents said they work with at least one other person on projects that involve analytics. To better understand how teams work together, we looked at how a data professional’s expertise impacts their teammate. We asked respondents how satisfied they were with the outcomes of their analytics projects. Additionally, we asked data professionals if their teammates were experts in any of the five data skill areas. Results showed that Business Management professionals were more satisfied with the outcome of their work when they had quantitative-minded experts on their team (e.g., Math & Modeling and Statistics) compared to when they did not (see Figure 5.). Additionally, Researchers were more satisfied with their work outcome when they were paired with experts in Business and Math & Modeling. Developers were more satisfied with their work outcomes when paired with an expert in business. Creatives’ satisfaction with their work product is not impacted by the presence of other experts. Solving problems with data requires expertise across different skill areas: 1) Business, 2) Technology, 3) Programming, 4) Math & Modeling and 5) Statistics. Different types of data professionals (as defined by their role) are proficient in different areas. Not surprisingly, data professionals in Business Management” roles are the most proficient in business skills. Researchers are the most proficient in Math & Modeling and Statistics skills. Developers are the most proficient in Technology and Programming. The Creative types have some proficiency in all skill areas but are not the best in any single one skill area. It appears that a team approach is an an effective way of approaching your data science projects. Solving problems using data (e.g., a data-driven approach) involves three major tasks: 1) identifying the right questions, 2) getting access to the right data and 3) analyzing the data to provide the answers. Each major task requires expertise in the different skills, often requiring a team approach. Different data professionals bring their unique and complementary skills to bear on each of the three phases of data intensive projects. Finally, these preliminary findings are interesting and have important implications for business in helping chief data officers and hiring managers better understand their data science capabilities. Chief data/analytics officers need to focus on both data skills of their professionals as well as team composition. 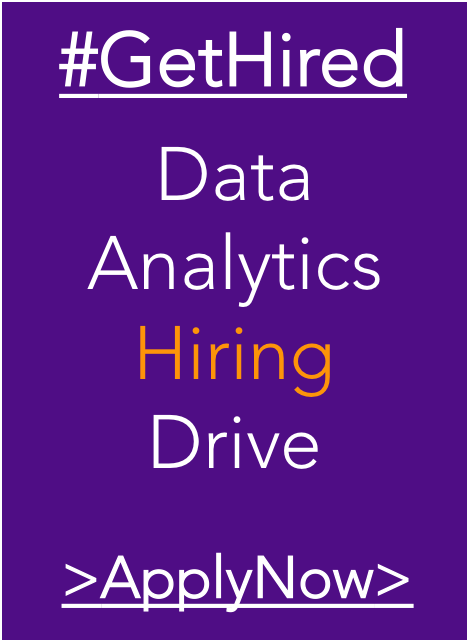 Additionally, recruiters need to effectively market to and recruit data professionals who have the right skills to fill specific roles. Getting feedback from data professionals can help organizations identify and close any talent gaps and improve how they manage their data science teams. Download the free Executive Summary of the report, Optimizing your Data Science Teams. To learn more about the DS3 Enterprise version, click here.